A costantly growing fleet, their ships’ size ever-increasing, and a trend that not only shows a market upswing, but growth signals and stability. The main subject at the Superyacht Captains’ Forum were challenges and opportunities refit and what aftersales companies are going to face in the future. 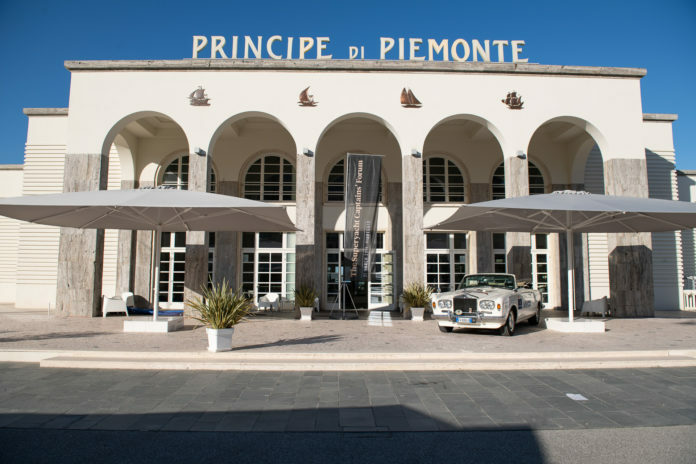 The event held at YARE (Yachting Aftersales and Refit Experience), the international meetup now at its ninth edition, completely dedicated to the yachting industry and organized at the “Il Principino” convention center in Viareggio last weekend, from 20th to 23rd of March. 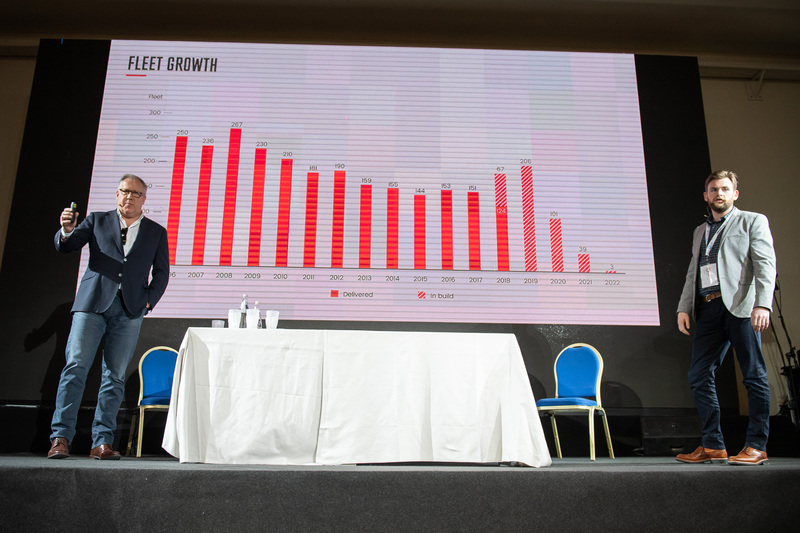 Over 350 guests had a complete summary of what’s happening in the refit world. On stage, renowed personality in the nautical world Martin H. Redmayne, The Superyacht media group journalist and editor. Vincenzo Poerio, YARE and Tuscany’s nautical, technology and port district president started the Forum with his speech, where he highlighted some important key points of the sector: “New buildings contracts have been signed till 2022 and the boats all have a bigger length”. He also confirmed that “in the international theatre our italian shipyards are the protagonists”. Sure enough, according to the rankings, eight of the best worldwide ship builders are Italian (Benetti, Sanlorenzo, Custom Line, Azimut, Overmarine, Baglietto, Perini Navi and Codecasa). Looking at the data of the last ten years, the main numbers are about the global fleet’s exponential growth. From 3906 crafts in 2009 to 5646 in 2019 and 5789 are expected for 2022. About the length of those crafts, the increasing size of the commissions is evident: in 2009 there were 2626 (30 – 40 mt), 1055 (40 – 60 mt), 183 (60 – 90 mt), 42 (over 90 mt); in 2019 there are 3.553 (30 – 40 mt), 1.649 (40 – 60 mt), 355 (60 – 90 mt), 89 (over 90). According to Redmayne’s forecast this trend will keep its run until 2022 when there will be 387 yachts between 60 and 90 meters and even 97 in the over 90 class. Other than the data on the existing global fleet, which of course needs constant and extra ordinary maintenance, Redmayne called for “the need of a new approach by shipyards, companies and most importantly from owners (both private and commercial) when it comes to refit operations”. 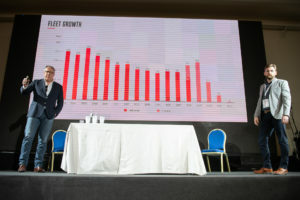 Business opportunities are still there since in 2019, from an international point of view, there are 847 yachts under five-years refitting plans and 1430 which need three years long operations. In this sector, where the offer from all the 190 shipyards in the world is sky-high, Italy stands among the first five countries for number of commissions. In such a competitive environment, according to Poerio, “the Mediterranean must come back with a central and determined role. How? Widening the offer, quality and choice through a nautical luxury tourism strategy which today doesn’t have a clear and defined personality”. Poerio’s idea is a cluster which brings together the main countries of the Mediterranean who operate in the refit sector with Italy, Spain and France leading the group, something that will develop new targeted services in ports and relative cities where a specific tourism is identified. YARE continued the 22nd March with B2C – Meet the Captain. A very appreciated format by both captains and companies thanks to an innovative app which carefully matches refitting needs and offers. This all- business day ended with the Captains’ Night, a captains only recreational and relaxing moment offered by NCA Refit Shipyard in their new NCA Village in Marina di Carrara. On Saturday, there was the grand closing of the event, with sports under the spotlight. The captains were guested by Versilia Golf Resort in Pietrasanta for a thorough golf session for both beginners and veterans. YARE was organised and promoted by NAVIGO, innovation and development for the nautcal sector and with the support of Distretto Tecnologico della Nautica e della Portualità Toscana.